I’m generally not a fan of extended warranties. I have only bought them twice. Once for an after market warranty for a BMW that was more hassle than it was worth. The second time for a first generation iPad. The iPad was expensive enough and just came out on the market. I still have it but it quickly became solely an e-reader because Apple quickly stopped supporting the operating system on the first iPad. I was struggling with the decision to buy the extended warranty when I was near 50,000 miles. The battery and motor are already covered for 8 years and infinite miles. My fellow blogger wrote up a detailed description of the warranty. In my mind there are several reasons to buy an extended warranty on the Tesla if you want to keep the car for an extended period of time. The Tesla Motors Club forum is a poll whether or not folks were going to buy the extended warranty. 99 people have responded with the majority opting to buy the extended warranty at some point in time. Poll – Buy the Extended Warranty? To my chagrin, I debated this for naught. I was discussing whether or not to extend the warranty with my service advisor, when I was informed that I already had the extended warranty! During my tire debacle, I received a phone call to offset my serious issues with Tesla. Since this discussion was over the phone and not through email, I had forgotten that Tesla had given me a free extended warranty for my troubles. They did not replace my tires but did refund part of the expensive curb rash removal and gave me the extended warranty for free. Did I get special treatment? I know Tesla treats all its customers very well. But having a blog that gets a reasonable amount of traffic does not hurt. 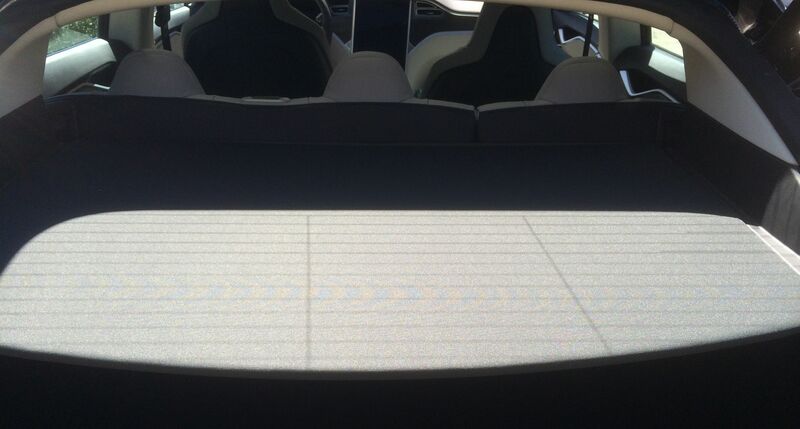 I tried to remain anonymous to Tesla for several years, but a few years in I did let them know I am a blogger as I needed to include responses from Tesla to write a fair post about the time it took to supercharge. Would I pay for the extended warranty? Yes, I would. I think there are still a few kinks with the Model S. But the price of parts for the Model S is still quite high. For example a new touchscreen is $5,000. So I think for a new car from a new car company the extended warranty is a good choice for most drivers. In this blog, I have documented every small issue I have had with my Teslas. 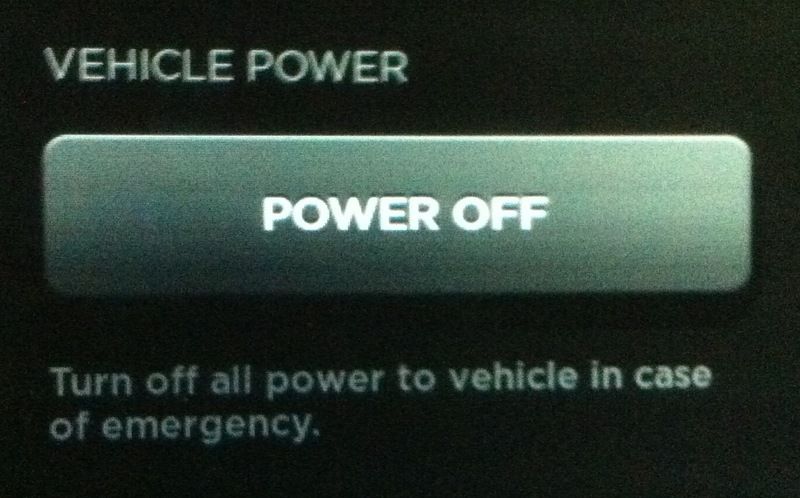 I recently experienced another unusual issue, that I think could only effect a very small amount of Model S owners. I have an uncommon setup where my high powered connector is the first Roadster version, and then I have an adapter from that plug to the Model S. I chose to use an adapter instead of purchasing a new high powered wall connector. This setup had many benefits for me. The adapter was lower cost than a new high powered wall connector and is in effect an extension cord. I could still occasionally charge a Roadster at my home, and I did not have to hire an electrician. There may be a very unusual case where I find a Roadster charge station while on the road, and I can charge my Model S from there using this adapter. Everything had worked fine for about ten months. Then one day late last year, I tried to plug my car in one day at home and struggled for a while. After a while of pulling it back and forth, I heard the audible click and the light changed at the port. The next day when I got home, I struggled again with the same sequence. 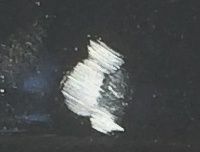 I got to a strange point where the plug was physically connected to the car, but the Dashboard indicated that there was a problem with the connection. I tried to jiggle the connection around a few times, and on the second day I simply could not even remove the cord from the car no matter how hard I pulled. I played with it a few more times, and reboot the two screens. 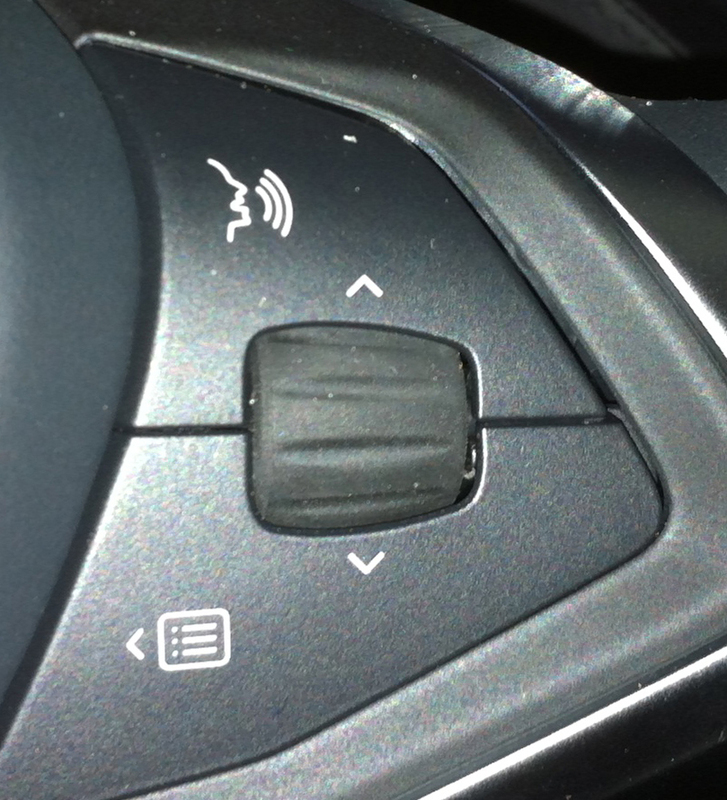 To reboot the 17” display, you hold down both of the scroll bars on the steering wheel. To reboot the speedometer display, you hold down both of the top buttons on each side of the steering wheel. I was wondering if this was a problem with the new 5.8.4 software that I had just installed a few days earlier. This software had an enhancement to watch for unexpected fluctuations in the input charge level due to bad house wiring. A Tesla owner had a fire in the garage where their car was parked (the Tesla and connector were fine). As a response to this incident, Tesla is sending all the owners of the Model S High Powered Wall Connectors new units with a thermal fuse. The thermal fuse will prevent current from flowing if the wall socket region heats up for any reason. I have no idea if my High Powered Wall Connector has a thermal fuse or not. But after almost five years of use and a house that is less than ten years old, I am not concerned. Neither of these two reboots worked. I called the Tesla service number and the friendly person told me to reboot the main power also. Rebooting the main power allowed me to remove the adaptor, but not charge the car. Tesla could see that my car had an internal error about power. Since I placed this call at night on a Sunday in the middle of the holiday season, the person on the phone could not find out any more information from the engineering department. In the morning, I received a call back after the engineers looked at the car’s error logs. A problem was detected in the physical adaptor cable. That same day, I went to the service center and received a new cable free of charge as it was still under the one year warranty period. I was told that my problem was a bit unusual, and the only suggestion they had was to not keep the cable wound tightly. 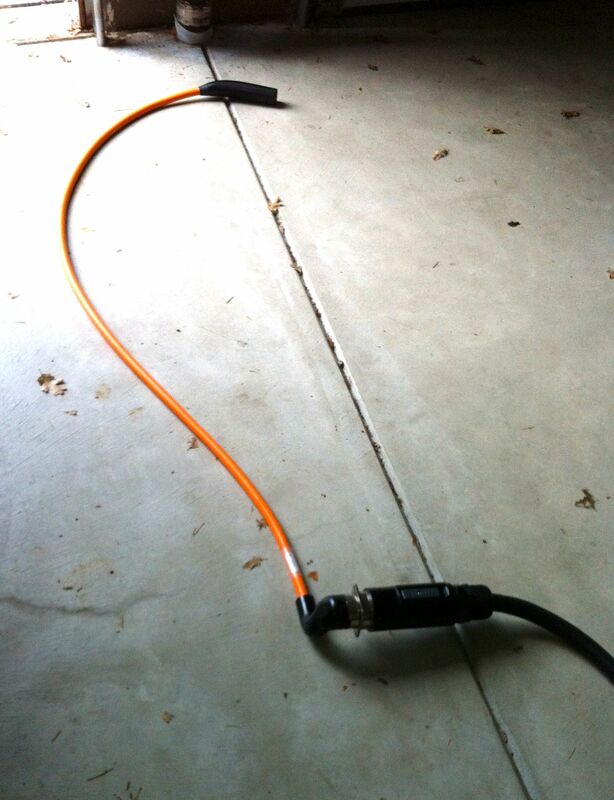 But I just keep the cable splayed out permanently in my garage as there is plenty of space. I recently went on a road trip throughout California using seven superchargers. After visits to four supercharging stations, I was not really noticing dramatic improvement with the newly installed 120kW superchargers. Sitting in the car at the Hawthorne station, I decided at the next three stations to accurately log the amount of mileage I could get in 30 minutes at the next three superchargers. Before delving into the detailed data I gathered and also data subsequently provided by Tesla, I now feel comfortable writing that I think it is possible with a very empty battery, a 100% fully functional non-busy supercharging station and reasonable weather, I could occasionally charge 170 rated range (EPA 5-cycle) in 30 minutes. The scenarios where I would envision charging at the maximum rate would be for home to destination trips on boring drives such as Interstate 5 through California with several supercharger stops. With this kind of driving, one could easily plan their supercharging visits and keep their battery as low as possible. But I expect to more often be charging closer to 135 miles in 30 minutes as I experienced on my recent trip. I typically do not just drive on freeways and prefer off the beaten path roads. When traveling I like to have space and time for the unexpected detour and enjoy the journey. Keeping the battery at a fuller state of charge for these wanderlust trips will make the trip about the journey not about optimizing the supercharge rates. So more often, I will likely not be able to carefully plan to have a very empty battery at every supercharger. The key difference between my results and the 170 miles is that I did not arrive at the stations with a very low battery. The superchargers can really fill up your battery very fast between zero and 40% full. After that period, the charge tapers significantly. Tesla supplied the data in the second column “Time of Charge at Max Rate”. I did not plot my charge on a minute by minute basis. But the supercharger records indicate that for these three charges, the full power of the supercharger lasted for the listed number of minutes. 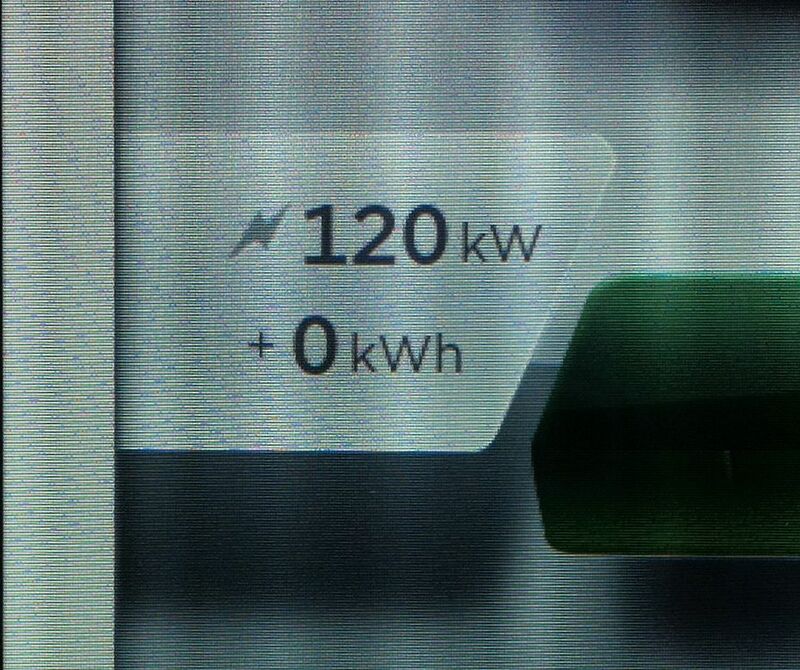 For example at Buellton, the car was charging at the 113 kW rate for 10 minutes. The battery itself is a very expensive component in the car. With Tesla, car owners get regular software updates to the car, and in a year we have seen a lot of nice software improvements. Asking for dramatic hardware improvements is an unrealistic business model. I owned a very early Tesla Roadster with plastic knobs and no glove box and was very satisfied with my car and Tesla. I think a little more communication up front on these details will be appreciated by the existing and future customer base. But having worked in Silicon Valley for many years, I still give Tesla my highest review even with a few missteps here and there. Tesla has been very helpful and responsive with my inquiries of my charge times. They pulled my records from the supercharger station and responded with sufficiently detailed data. In response, they also changed their supercharger web page from stating simply a 30-minute charge with 120kW would give you 200 miles of range (without any footnotes) to now stating 170 miles of EPA rated range (85kWh battery). I plan sometime in January to drive to the Sacramento area and visit the Vacaville and Folsom superchargers with a very empty battery.